Looking for a historical trail experience? You’re not alone! A National Endowment for the Arts study found that nearly a quarter of the U.S. adult population visited a historic park, monument, building or neighborhood in 2012. If you find yourself drawn to historic towns like Downieville or Bodie to imagine life during the gold rush or to the Cal Academy’s Natural History Museum in San Francisco, you may be pleasantly surprised by the offerings closer to home. As California’s oldest state park, Big Basin boasts a California Historical Landmark designation. Located in northern Santa Cruz County, it offers 81 miles of trails, a variety of microclimates and the largest continuous stand of old-growth redwoods. One felled tree dates back over 1,400 years and is nicely interpreted to give perspective to its slow growth through the Bay Area’s prehistoric and historic cultural periods. 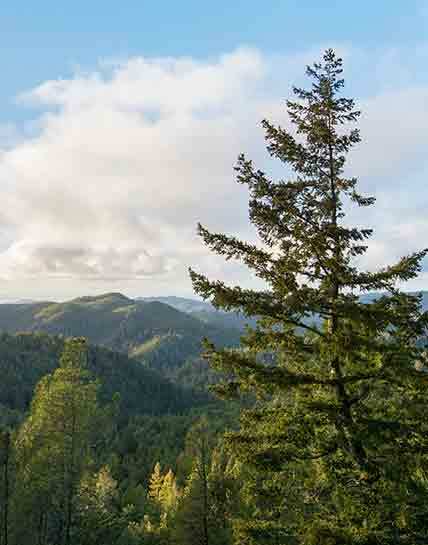 The short 0.6 mile Redwood Loop Trail highlights the park’s landmark redwoods. Looking for a longer route? Try the 2.9 mile Sunset to Skyline Loop or the 10.5-mile Berry Creek Loop, which leads to four waterfalls. Here’s a map of the park if you’d like one before you go. A very short and easy 2-minute walk along a scenic trail connection in urban Palo Alto reveals California Historical Landmark No. 2; a massive coast redwood tree. 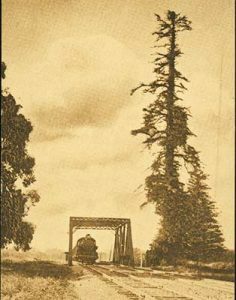 Spanish explorer Don Gaspar de Portola used this tall tree as a point of geographic reference during his exploration and eventual discovery of the San Francisco Bay nearly 250-years ago. A vision for an Ohlone-Portola Heritage Trail to honor the region’s Native California Indians and commemorate the Portola Expedition through San Mateo County is in the works. 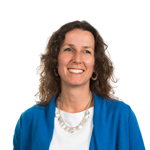 The effort is led by the San Mateo County Parks Department and POST is an active member of the trail’s planning committee. The trail would end at this landmark, where the ~240 member expedition (and 1,000 mules, cattle and horses) camped before trekking home to Baja California. You can visit the 110-foot tall El Palo Alto tree, the city’s namesake, located here at the corner of Alma Street and East Creek Drive. Located in southern San Jose, this park shares the history of one of the largest former quicksilver mines in the world and the thousands of years of use by the Ohlone Indians. Thirty-four miles of trails offer plenty of opportunities to visit the relics of the mining operations, which began in the 1840’s and by 1865 was home to 1,800 people. There are also terrific views into POST-protected Rancho Canada del Oro. 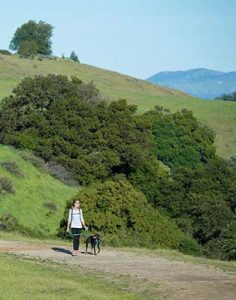 Learn much more and enjoy this rugged and scenic park on the 11-mile New Almaden and Mine Hill Trails loop. Want a shorter, less strenuous experience? Visit the San Cristobal Mine by starting at the Hicks/Wood Road entrance and take the Wood Road Trail to Castillero Trail to Mine Hill Trail (~5-mile loop). Here’s more information on this preserve and the park’s map. Want more great trail information? Download our free guide to 30 of our favorite area hikes!